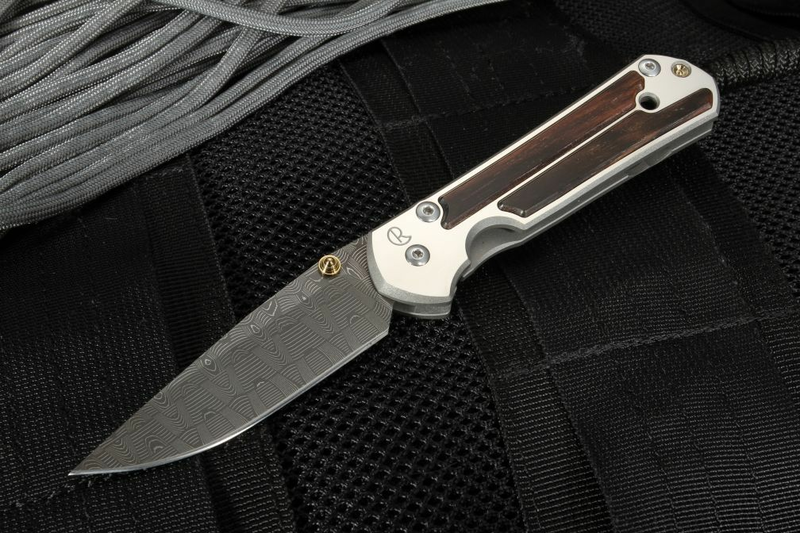 The Chris Reeve Sebenza 21 with upscale Macassar ebony inlay and damascus steel blade is a stunning choice for either a knife aficionado or someone that appreciates a high-end everyday carry knife. The American-made quality of Chris Reeve Knives is unsurpassed in the knife industry. The 3" drop point blade sports forged basketweave pattern stainless damascus steel from American blacksmith Devin Thomas. The basketweave pattern is created by the multiple folds in the steel in a mosaic pattern. The razor-sharp damascus is stainless to provide resistance to corrosion and provides lower maintenance for the user. The blade has a titanium thumbstud that is mounted for smooth confident one-hand opening. The handle frame on the small sebenza is aerospace-grade titanium, a material that provides tremendous strength for the weight of the material. The flats on the handle are satin finished and inlaid with macassar ebony panels. A key feature of this knife is the frame lock construction, a technology that Chris Reeve developed for folding knives. The frame lock provides exceptional lock strength when the knife is the open position and easy one-handed closing. The knife is mounted with a titanium pocket clip that will securely keep your knife at hand, ready when you need it. 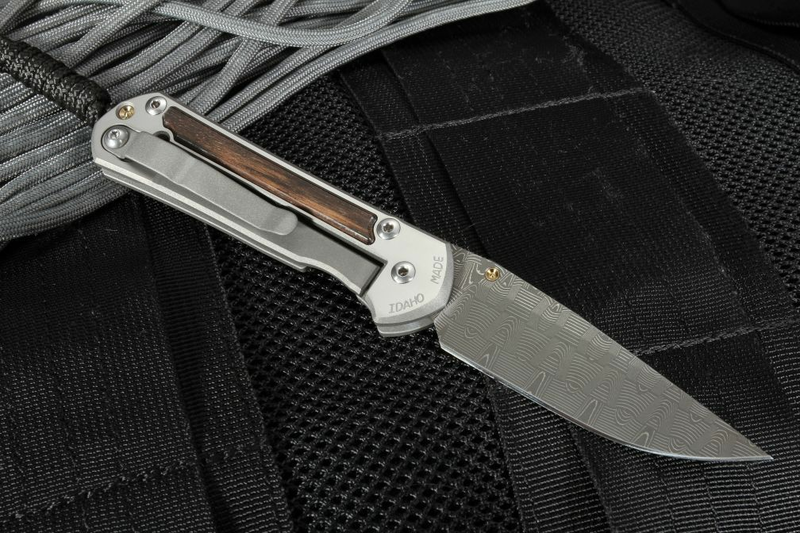 The knife also comes with a brown leather slip case that will protect this damascus sebenza when it is in your pocket. You can purchase with assurance, each knife we sell is new from the maker and ships the same business day your order is placed. Complete satisfaction is guaranteed, order today to experience one of the finest knives in the world.